However, in an attempt to express creative freedom and save costs, you may wish to refurbish your place through a DIY inspired home renovation which inadvertently increases the possibility of making a costly error. By choosing a qualified interior decorator to revamp your home, not only will you reduce your stress, but you will also have a professional to take you through the entire process, right from the initial design phase up until the finished project. If you’re planning on taking up a renovation project, I want to help you steer clear of some mistakes that could turn an exciting time into a nightmare. To help you, INTERIORS by NICOLE has compiled a list of five common home renovation mistakes that people make. 1.Not planning ahead. Most interior renovations need about four-six months from inception to completion. This does not mean that your home will be turned upside down during that length of time but that you allot a certain amount of time for the planning or design stage, then ordering, demo and finally finishing it till the last accessory. Allocating sufficient amount of time for planning avoids costly mistakes, gives you the opportunity to find savings and ensures the best tradesmen are available to complete the job. So, to get the best outcome for your next renovation, plan well ahead of time. 2. Basing your renovation solely on price. This is a costly mistake that many homeowners make. High-quality materials or furnishings may be expensive, but that usually means they can stand up to wear and tear and have better warranties. The best way homeowners can fix this is by researching the material and products selected. Find out more about an item’s warranty, how and where it is manufactured, etc. 3. Not hiring proper trade professionals for the job. For an interior renovation job, some customers may feel it is too much work to source all the different trades necessary or they do not want to pay their professional fee. This can be a massive mistake. 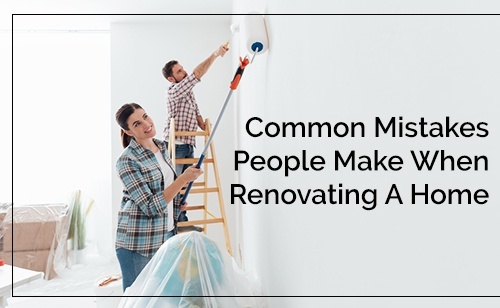 If homeowners hire unqualified persons, homeowners might end up with careless, messy workers who end up wasting your money by having it done wrong. 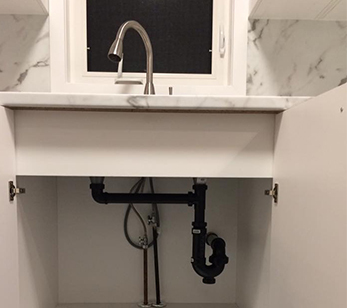 Mistakes can be avoided by hiring highly qualified tradespersons who have excellent references and years of experience along with a contract to make sure your renovation runs smoothly. 4. Not devising a strong design plan. Renovating your home without a solid design concept leads to costly mistakes, and there is a high chance your vision and dream won’t match. 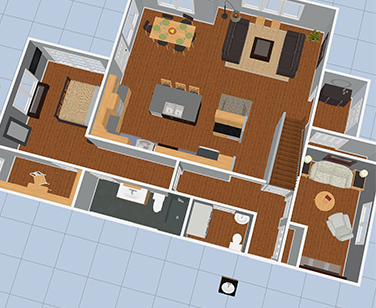 A strong design plan includes furniture placement, flooring and cabinet selection, lighting plan and lastly, accessories. So, it is always a good idea to plan and find inspiration beforehand and stick to the plan so that it turns into precisely what you imagined. 5. Thinking you can do it by yourself. 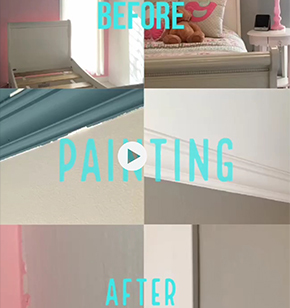 Most people attempt at least one renovation on their own, but it is so much easier when you have a professional decorator on your side that knows the ins and outs of renovation. A professional sees all kinds of successes and failures in the industry and passes them on to customers. They also help throughout the renovation process working on a budget, timelines, design concept, suppliers, and trades to make it all come together, avoiding delays and cost overruns. 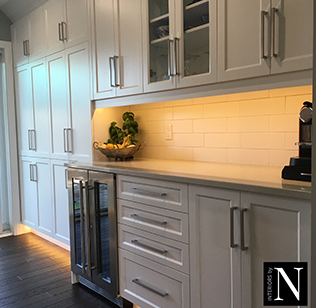 To prevent these mistakes while renovating your home, consult INTERIORS by NICOLE. 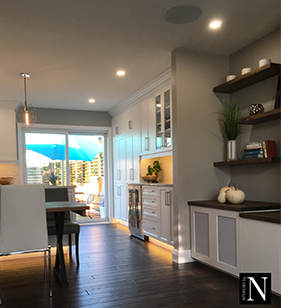 I have many years of experience in providing interior decorating, design, home renovation, colour consultation, and project management servicing Sudbury, City of Greater Sudbury, Greater Sudbury, New Sudbury, Hanmer, Chelmsford, Azilda, Valley East, South End, Onaping, Whitefish, Walden, and Lively. Through my services, I focus on bringing function and beauty into a client’s home, as per their needs. To learn more about the services I offer, please click here. To book an appointment or if you have any questions regarding interior decorating, I would love to hear from you. Get in touch with me here.